Polo, Marco. "George Baird". The Canadian Encyclopedia, 15 November 2016, Historica Canada. https://www.thecanadianencyclopedia.ca/en/article/george-baird. Accessed 22 April 2019. George Baird, CM, architect, critic, educator, author (born 25 August 1939 in Toronto, ON). Architect George Baird has exhibited, lectured and published extensively both nationally and internationally (photo courtesy of George Baird). George Baird, CM, architect, critic, educator, author (born 25 August 1939 in Toronto, ON). 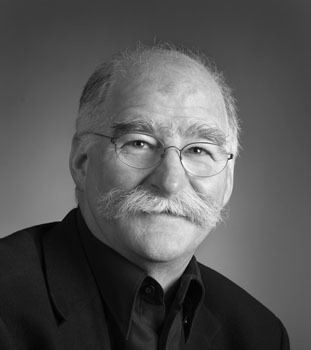 A Member of the Order of Canada and two-time winner of the Governor General’s Award, as an architect, scholar, and educator, George Baird is among the most broadly influential figures in his generation of Canadian architects. George Baird graduated from the University of Toronto School of Architecture in 1962 with a Bachelor of Architecture. After completing his undergraduate degree, he did postgraduate research at University College London, England, before returning to Canada in 1967. Baird taught architectural theory while in London at both the Royal College of Art and the Architectural Association School of Architecture. Upon his return to Canada he went on to teach at the University of Toronto, where he served as acting chair and as chair of the architecture program between 1983 and 1985, remaining as a professor until 1993. In 1993 Baird left the University of Toronto to join the faculty at the Harvard University Graduate School of Design, where he received an honorary degree, was appointed G. Ware Travelstead professor of architecture (1996) and taught design studio and architectural theory. He served as director of the Master of Architecture degree program until 2004, when he returned to Toronto to become dean of the University of Toronto's Faculty of Architecture, Landscape, and Design until 2009. Baird established his practice, George Baird Architects and Associates, in Toronto in 1972. In its early years Baird operated the firm as an important "teaching office," employing many of his University of Toronto students, including Bruce Kuwabara, Martin Kohn, Donald MacKay, Detlef Mertins, Thomas Payne, Barry Sampson, Bridgitte Shim, and John van Nostrand, all of whom have subsequently distinguished themselves as practitioners and/or educators. In 1982 the office evolved into the partnership of Baird/Sampson Architects, and in 1998 became Baird Sampson Neuert Architects Inc. Notable early projects include the office headquarters for the Ontario Trucking Association, Rexdale, ON (1980); an unsuccessful but influential entry to the Edmonton City Hall Competition, Edmonton, AB (1982); and the unbuilt Elliot Lake Auditorium for the Arts, Elliot Lake, ON (1984). Baird/Sampson Architects and Baird Sampson Neuert Architects Inc., an architecture and urban design practice, has completed a number of award-winning projects, including Cloud Gardens Park in Toronto (1993); the Butterfly Conservatory for the Niagara Parks Commission, Niagara Falls, ON (1994); student residences for the University of Toronto in Mississauga (1998) and in Scarborough (2003); and Prospect Cemetary Mausoleum (2000) and Pine Hills Cemetery in Toronto and Beechwood Cemetery in Vaughan, ON (2002). 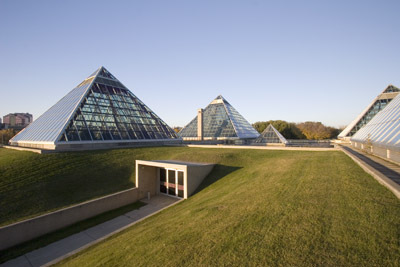 International works include Old Post Office Plaza, City of St. Louis, Missouri (2009) and Cornell Plantations Brian C. Nevin Welcome Centre, Ithaca, New York (2011). Community projects include the Burlington Waterfront Centre, City of Burlington, ON (2006) and Knox Presbyterian Church, Waterloo, ON (2012). The firm continues to work on a wide range of project types with a focus on integrating architecture, landscape and place. Baird Sampson Neuert Architects’ building designs aim to be environmentally conscious and attentive to both micro and macro environmental needs. The firm is a leader in institutional and public school program planning as exemplified in the success of the Thomas L.Wells Public School, Toronto, ON (2005) and Erindale Hall at the University of Toronto at Mississauga, ON (2003). Special focus is placed on the design of public spaces and integrating design within its context. The Thomas L. Wells Public School, for instance, is the first of the “green schools” for the Toronto Public School Board. The building is designed to reduce energy consumption and to create a better learning environment through things like improved air quality and increased availability of natural light. Erindale Hall is an elongated structure inserted into a clearing in a wetland and woods, its limestone façade reflecting the underlying geology of the region. The colonnade running along the building’s exterior is meant to encourage social interaction among the residents. George Baird has also had a substantial impact on the urban development of Toronto from the 1970s to the present, offering guidelines for improved growth and building as well as master planning services. Baird is said to have created the DNA of urban development in Toronto, moving the city away from isolated residential towers and cavernous shopping malls to giving public space primacy and putting forward a more integrated and sustainable conception of the neighbourhoods. George Baird's office has produced award-winning architecture and urban design, and has authored many influential studies, notably 1982's Greening Downtown: Design Guidelines for Georgia-Robson Corridor (Vancouver, British Columbia) which established the firm's reputation for intelligent urban analysis. Baird has exhibited, lectured and published extensively both nationally and internationally. His most notable publications include Meaning in Architecture, co-edited with Charles Jencks (1968); Queues, Rendezvous, Riots, co-edited with Mark Lewis (1995); Alvar Aalto (1969); The Space of Appearance (1995) and Public Space: Cultural/Political Theory; Street Photography: An Interpretation (2011). Baird’s critical studies have been compiled in Writing on Architecture and the City (2015), an anthology of texts, covering his interest in planning as it pertains to city building, paying particular attention to the city of Toronto. This publication has its roots in the time of his appointment as dean of the University of Toronto's Faculty of Architecture, Landscape and Design, where he tested his theories working with students; the book also includes profiles of notable figures in the field of architectural theory as well as his essays from 1969 to 2013. Among the projects currently in progress is True Nordic, a book surveying the influence of Nordic countries since the 1920s on Canadian design culture.